Observations from my Two Weeks of Thrifting | Save. Spend. Splurge. I have been visiting a lot of thrift stores lately, not even secondhand because I consider that to be one level up from these places — Salvation Army (SA) and Goodwill mostly. I will also drop by Value Village (VV) but they are a FOR PROFIT organization but I don’t really find that they have as good of secret treasures and vintage stuff as Salvation Army or Goodwill which are non profit. As a note, NON profit places do not charge taxes, that’s a simple way to check to see if it is for profit or not. I did it as a shopping experiment for 2 weeks to see what I could find that I would pay for in a store if I saw it (at retail, no less!) and I came out a complete CONVERT to thrifting. My thrifting guru? Adina. I just follow her and drool over her items because she is THE QUEEN of Thrift. After this little experiment of 2 weeks (trust me, I was doubtful and not at all convinced), I am convinced to thrift… forever. It is a fairly cheap hobby (compared to my previous shopping habit), and I get some really amazing pieces if I am patient and I apply some rules to myself. I can’t buy anything retail any longer, even on sale unless I truly, TRULY want and love it, because it just makes me sick to know that it would be $10 or less on the rack. For instance, I will still continue to buy lots of retail items but they are only really amazing items like this Mel en Stel cashmere and silk blazer that I will never, EVER find in a thrift store, much less in my size, and I am willing to pay for it. Obviously not all locations are amazing. You have to basically go and visit all of them at least twice, suss out the place and then make notes about whether or not you’d go back. Some stores are too small to really keep good stuff. Some are in terrible locations that are hard to get to even by metro, or by car (no parking). Others are well-located in richer neighbourhoods and more likely to have nice things. You need to go and try all of them at least twice, that’s my best advice because it depends on what you are looking for, also in terms of style. Some places also have more vintage pieces (I LOVE!) others, more contemporary, and you need to know what you like to shop for or you’ll waste time. This is the only caveat to thrifting. The REALLY good designer brands I love that are classic, do not show up on the racks. If you want THOSE pieces, you need to pay for them, I’m sorry to say. I am talking Hermès, Burberry, Chanel.. obviously all of those brands don’t end up in these stores, and if they do make an appearance they aren’t iconic pieces; for instance, I found a Diane von Furstenberg dress but it was stained and not the classic wrap style. These really good brands, stay in the wardrobe or they end up in secondhand stores like consignment places (my places in Toronto & Montreal are listed) to be resold at a higher price. You won’t find a trench coat that is classic for less than $10 in a thrift store unless someone made a serious mistake and you were lucky enough to pounce on it when it hit the racks before someone else did. 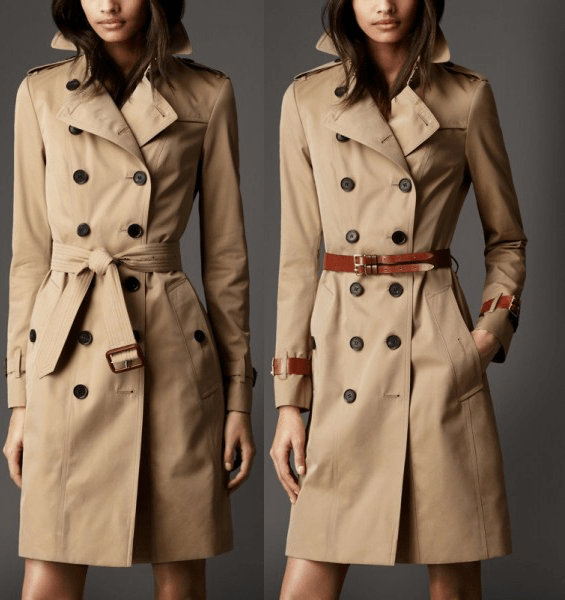 I own this classic, amazing trench for instance from Burberry and I have never ever seen it for sale secondhand or anything similar, EVEN in consignment shops for $500 or whatever it’d go for. They’re never donated, and if they are, they aren’t the good stuff, it’s probably stuff that wouldn’t or didn’t sell at the consignment shop so they just tossed it to the a thrift store to donate. I know this, because I own designer stuff I paid for at retail or even in a consignment shop, and I would never, EVER donate it to a store. I’d find a way to sell it. TAILOR? TAILOR!?!? A $6 skirt? Why in the world would I EVER spend $15 to tailor a $6 skirt? Because then it’ll fit you perfectly and you’ll be happy with it and choose it more often. I never subscribe to the idea of: Oh it cost $6 and it would be $15 to tailor it, so it’s not worth it. It is still $6 + $15 = $21 (dirt cheap) for a high quality, perfectly fitted skirt (with pockets preferably), and something you will reach for more often because it fits you better. Wouldn’t you pay $21 in the store for a perfectly fitted, amazing skirt that you’ll reach for constantly? Unless it is a piece you are on the fence about (not sure if it’s classic, if it’ll be something you will wear often), don’t bother tailoring it (but in that case, cull it out of your wardrobe or learn how to do quick fit fixes with safety pins and belts), then you should always make sure every piece fits you well and makes you comfortable. Heck, I am even tailoring in tank tops that cost $20 because I am always hiking up the straps, but I love the print so much I wear it to death. It is false economy and a waste of good closet space to not make sure your classic pieces drape on you like a dream. The real quality is in no-name brands and vintage items. (These are the pieces I have to tailor the most like my 100% wool, cashmere and/or camelhair skirts which are stunning pieces). After a few forays into the racks, I started being able to recognize what was vintage immediately. Fabrication is 100% Wool, Silk, Cashmere, etc. Other items I focus on that aren’t vintage (they look newer), are just from my feeling the fabrication. I also avoid vintage polyester because I hate the feel of it, modern polyester feels much better. I touch something like a linen jacket or shirt, and you can just FEEL the quality of how soft and high-end the linen is for instance; it isn’t thin, it isn’t see-through and it is thick and wonderful. Who cares what the brand is if the quality is high? It was clearly expensive at one point in time and still looks it, having kept its shape, colour and gorgeousness over time. If I am not sure about the no-name brand, I just try to find the label and read the fabrication — if it’s 100% natural fiber (silk, camelhair, cashmere, cotton, linen, etc).. I rank it higher than a polyester brand mix. I particularly squee when I find camelhair items because I know Jaegar or MaxMara (famous camelhair brands) are super soft, and EXPENSIVE. I also check to see where it is made, if it says China, it is a sure sign it has been within the past 10-20 years, and generally not a good quality item. If I see it has been made in a First World Country, I inspect it even further to see the details and to see if it’s worth it. To check if the waist would fit, you button up the skirt or pants waist, then you pull the waistband around your neck to see if the ends touch. If they do and fit just nicely, it’s a good chance it’ll fit. Otherwise, just knowing brands that are well made items like Acquascutum (like Burberry just not as popular), or knowing retail store brands like BCBG, or local designers like François Beauregard, Ça va de soi, you can eye the items and know the brand immediately and know its general price range. ..and I never ever find high end brands like Burberry, Chanel, etc. In shoes, there is better luck in finding Ferragamos for instance (I saw few pairs), but I find that the quality tends to be pretty terrible, as these shoes are WORN DOWN. Not only do I wear easily removable items, or things I just try on things over (leggings and a tank top), I will mention that they are DIRTY SHOPS. You need to make sure you don’t wear anything nice that will get ruined and make you angry, as you’re brushing up against stuff that may not have been washed before donated for instance. They are very hard to wash especially raffia hats or Panama hats, and kind of gross to wear secondhand unless it’s from a friend. I’d rather buy it at full price as I can afford it. At the Salvation Army, I donate items I don’t wear any more in GOOD CONDITION without rips and holes, and I always get a nice coupon to spend in the store. Be careful not to over buy or buy a junk load of stuff unless you have a HUGE place to store it all just because it’s cheap because while I went overboard in the 2 weeks I went thrifting, but I’m apparently in the honeymoon phase as Adina says, and it’ll slow down. I thought 20+ pieces was a LOT. I need to start selling / culling my wardrobe again. I also have to always think hard about buying items that will need to be hemmed or taken in. DO YOU THRIFT? WHAT ARE SOME OF YOUR TIPS? It depends on where you are, the brands you find. One of my local thrifts is packed with J.Crew, Lilly Pulitzer, Lacoste, etc. Also, TONS of Anthropologie brands, Banana Republic, etc. And I’ve bought two really nice, new Lululemon jackets there. It’s a SUPER preppy area lol. A lot of thrifts support great charities–Goodwill helps give people jobs and their thrifts support their training programs and employ people in those programs. And our local thrifts support our nonprofit hospice program, a food bank, etc. My thrift areas do not have any of those brands in Montreal. I guess I’d need to go to other cities in preppy areas. 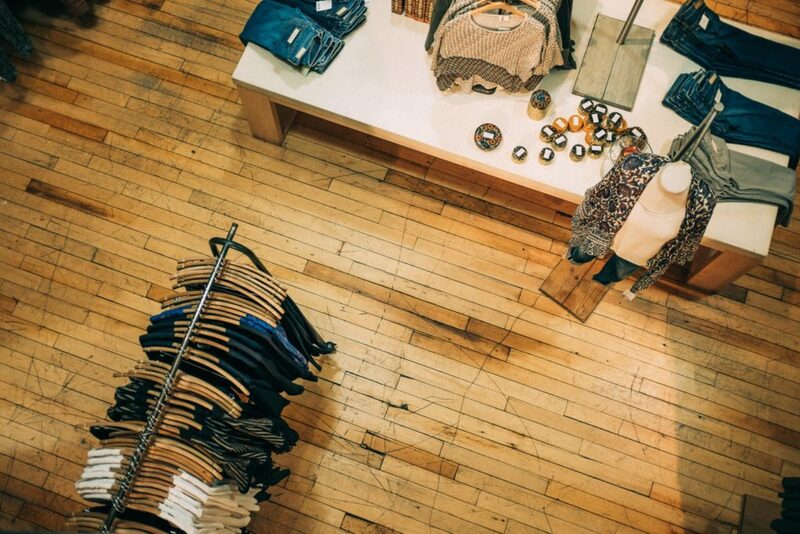 I love to thrift but in the past I have mainly stuck with furniture, rugs, lamps…after reading this I will check out the clothes at certain locations. thank you! You have to really dig through the racks.. I will say that the HIGH end stuff you talked about *can* be found thrifting. Not often, but it can. I’ve found a brand new Burberry trench in perfect condition for $7; couldn’t believe my eyes. I’ve also found Manolo Blahnik, Jimmy Choo, Prada, etc. All of them in new or like new condition. I’ve heard of people finding even stuff like Chanel and Hermes (scarves). The key to that is going All The Time. You’re competing against re-sellers at this point. It’s not feasible If you have a day job, but going at least once a week (if you’re into it) helps. Also, some markets are just better than others. I’m always amazed by my local thrift shops. We’re not a huge town, but there is a lot of (hidden from view) wealth and less competition from knowledgeable re-sellers. In a market like TO or Montreal, you might have a harder time. But keep it up — I can’t wait to see what else you find!! So stressful, but I am going to try and go once a week… Montreal seems to be well picked over. I am amazed but it’s true.